Between being a mom, an actress, and a blogger, Haylie Duff has her hands full. With the holidays fast approaching, she needs to find recipes and meals that are quick and delicious for her family. In our exclusive celebrity interview, we chat with Duff about her favorite Thanksgiving memories, while she gives us some great advice for preparing easy meals during this time of the year. Thanksgiving is a time for spending with the ones who we love. That also means it’s a time when wine and cocktails are flowing to celebrate gratitude and the joy of being together. Here are some beverage ideas perfect for pairing with your Thanksgiving meal, whether you’re having a special date night with your partner or a dinner with your friends and family. A great way to butter up your mother-in-law is with a bottle of bubbles. Slip her a bottle of Carlos Santana’s Supernatural Brut. The blend of Chardonnay and Pinot grapes is a creative collaboration between Mumm Napa and Santana. The aromas of apple, fig, and vanilla are signatures of the holidays. Mumm Napa is one of the best sparkling wine houses around, so she will probably hide the bottle to save it all for herself. Bring celebrity couple Jay-Z and Beyoncé to your Thanksgiving table by busting out a bottle of D’USSÉ. A lot of people think of Cognac as a drink for men, but women also love the brandy as well. Your relatives will be thrilled to indulge! Plus, if you aren’t married yet, maybe it’ll get you “marriage material” points. D’USSÉ has notes of caramel, spices, and honey that will excite your nose as well as your palate. Use the brandy to mix up some cocktail classics like a Sidecar or French 75, which go great with turkey, cranberries, and dressing. Above all else, Cognac is an elixir of love, mainly because it makes everybody feel good. When you know that your partner digs Scotch, you can most certainly pair it with a Turkey Day feast. A good selection is Haig Club Scotch Whisky, a single grain scotch whisky in a striking blue bottle that is as posh as its British creators David Beckham and Simon Fuller. Think toffee and butterscotch notes with a short finish. Keep it simple by adding a touch of club soda to it to pair with dinner. If you still plan to serve wine with dinner versus the whisky, make a light Scotch-based cocktail as an aperitif to kick off the festivities. When your Thanksgiving meal is over, a perfect way to chill with your significant other or family and friends is by having an after-dinner drink such as a Limoncello. The Italian lemon liqueur is mainly produced in Southern Italy. While it’s slowly becoming more popular around the world, it’s the second most popular liqueur in Italy. Danny Devito’s Limoncello is the pick that will do the trick. Devito ended up getting into the Limoncello game after drinking far too many with George Clooney and showing up tipsy for an interview on The View. This is what you call turning lemons into Limoncello! For more Love & Libations date night ideas and celebrity couple predictions from Yolanda Shoshana, click here. It’s that time of year again. It’s time for family, friends, and slaving over a hot stove. Are you a newlywed worried about preparing your first Thanksgiving dinner? Don’t worry, you’re not the only one! Cupid’s got you covered, and you may be able to make this into a date idea. Have you gotten an invitation yet to one of the hottest new trends for Thanksgiving? If you haven’t, you may very well be getting one soon. Skip date night and have a “Friendsgiving”—aka: a Thanksgiving celebration with friends. The big difference is you get to call all the shots and do it your own way. Friendsgiving can happen on Thanksgiving Day, but most people host them a few weeks before so they can enjoy both. Typically Thanksgiving with family is a traditional holiday and on the conservative, tame side (if you’ve had relatives fall asleep in the Lazy-Boy right after the meal, you’ll know what we’re talking about), but Friendsgiving can be anything you want! Now aren’t you excited to throw your own Friendsgiving? …want more on Thanksgiving? Click here! It’s that time of year again. It’s time for family, friends, and slaving over a hot stove. 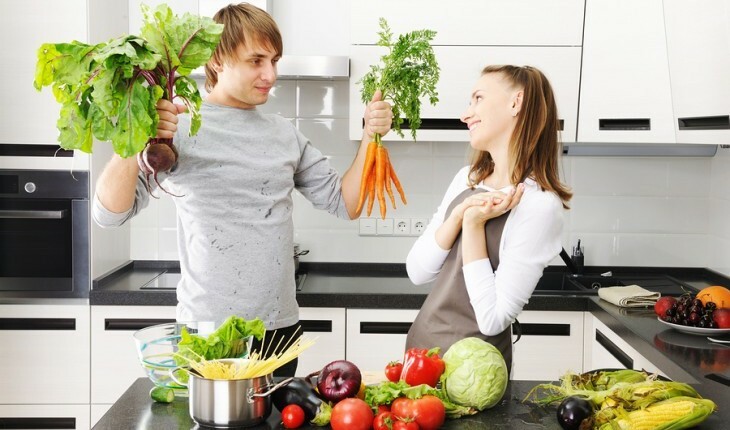 Are you a newlywed or a new couple and are worried about preparing your first Thanksgiving dinner? Don’t worry, you’re not the only one! Cupid’s got you covered. Check out these Thanksgiving date ideas! … Spending Turkey Day with your loved one? Click here for a great date idea! Thanksgiving is an important family holiday. When you begin a new relationship and the holidays come around, you have to make the decision of what you are going to do. There are many options on Thanksgiving Day, and you should both talk about it and see what fits you best. Just remember, there will always be another Thanksgiving! So you drew the short stick for the holidays this season. 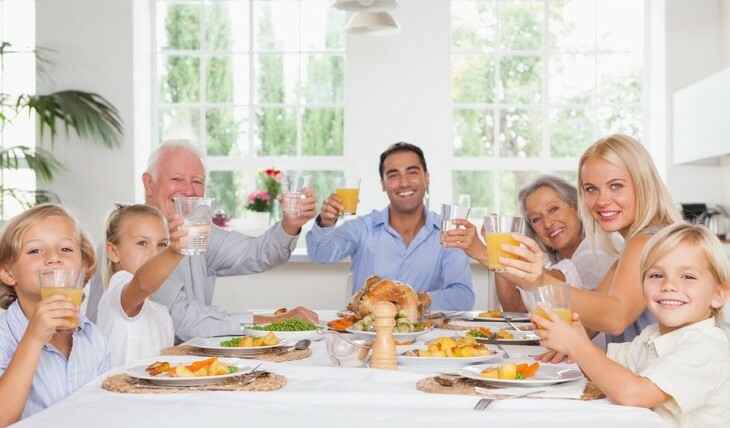 Thanksgiving will not be held at your loving, comfortable parents house, but rather you will be forced to put on your most convincing smile as you enter your in-laws home for the festivities. For the majority of us, venturing into in-law territory can be terrifying, stressful and impossibly frustrating. It’s an unavoidable nightmare that must be endured with charming comments, positive vibes and endless efforts of offering help. If you want to make it out alive to enjoy Christmas, then you better prepare to exert yourself. …Want more relationship advice? Click here! Get into the Thanksgiving spirit early this year! On this weekend date idea, come up with a list of all the things and, more importantly, the people you’re thankful for in life. If you’re in the early stages of your relationship and love, this conversation can be a great way to get to know each other better. …Don’t miss the rest! Click here to continue. ‘Bachelor in Paradise’ Couple Marcus Grodd and Lacy Faddoul Spend Their First Thanksgiving Together! 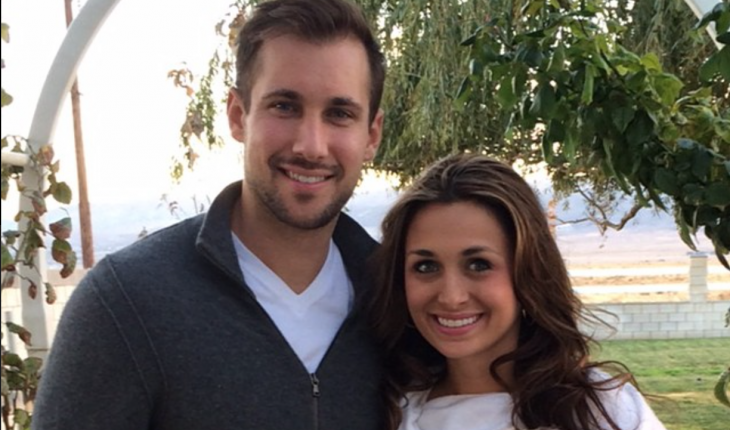 'Bachelor in Paradise' couple Marcus Grodd and Lacy Faddoul spent Thanksgiving together. Photo courtesy of Lacy Faddoul's Instagram. The holidays are meant to be shared with the people you love, and for Marcus Grodd and Lacy Faddoul, they did just that! According to Wetpaint.com, the Bachelor in Paradise couple spent their first Thanksgiving together in Faddoul’s home state of California. Both reality stars posted sweet pictures together on their Instagram accounts. Faddoul captioned one photo, “Happy Thanksgiving! We are so thankful for those that love and support our little family. #family #friends #bachelornation.” Grodd then wrote, “Happy Thanksgiving Day from our family to yours! Hold your loved ones close #blessed #love #gobble.” From the background of the photos, we are guessing they were snapped in The Golden State, which also happens to be where the couple has been spending most of their time these days. This adorable pair seems to be powering through the holiday season joyfully! How do you know when you’re ready to bring your partner home for the holidays? How do you know when to start celebrating holidays with your significant other? Each year, on the morning of Thanksgiving, many families around the country tune in to watch the Macy’s Thanksgiving Day Parade. This year, the parade embarks on its 88th journey through the streets of Manhattan, but some floats are making this well-known trek for the first time. 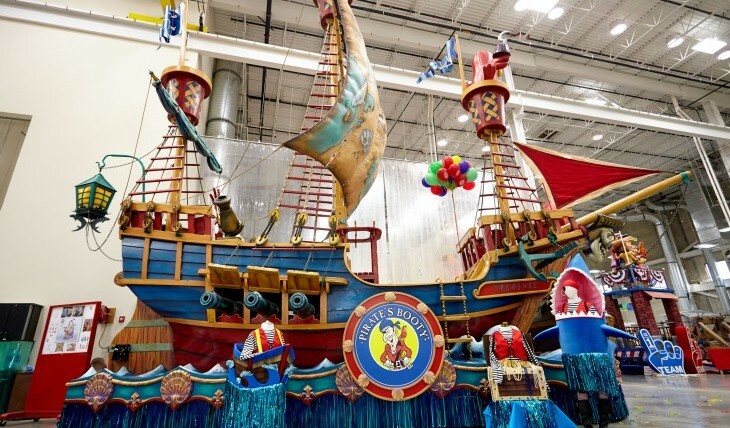 Pirate’s Booty, an American smart snack food company best known for their rice and corn puffs, is debuting their first float for the event, a pirate ship named the “Treasure Hunt” that measures 40 feet tall, 38 feet long, and 8 feet wide. …Don’t miss the rest! Click here for more. 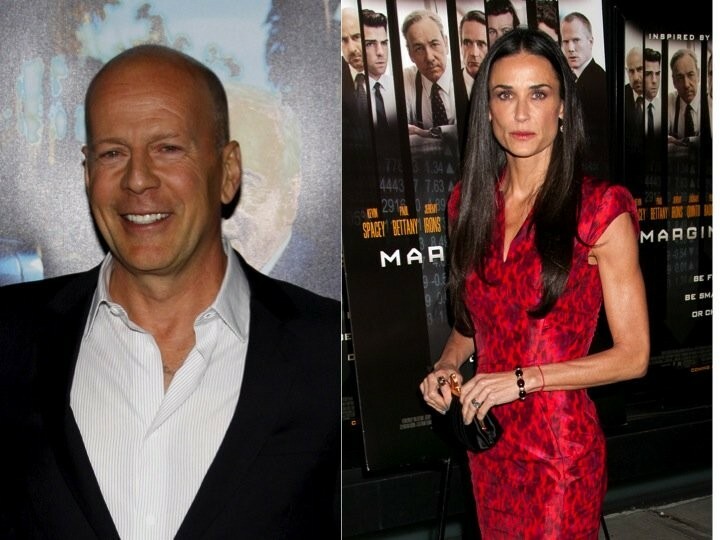 …Are you curious to how your favorite celebs celebrate Thanksgiving? Read on! Interview by Lori Bizzocco. Written by Shannon Seibert. 5 Ingredient Fix host Claire Robinson knows a thing or two about the fear of hosting Thanksgiving dinner and how to deal with it head on! Plus, she offers relationship advice that will heat up the kitchen this holiday in our exclusive interview with her . Of course, we had to ask the chef about the best desserts for the Thanksgiving season too. “Pumpkin is always the classic, but put a little bit of chocolate in there,” the celebrity chef suggests. Robinson also chatted about a cause close to her heart: Unilever’s projectSunlight, which helps create a brighter future for children. 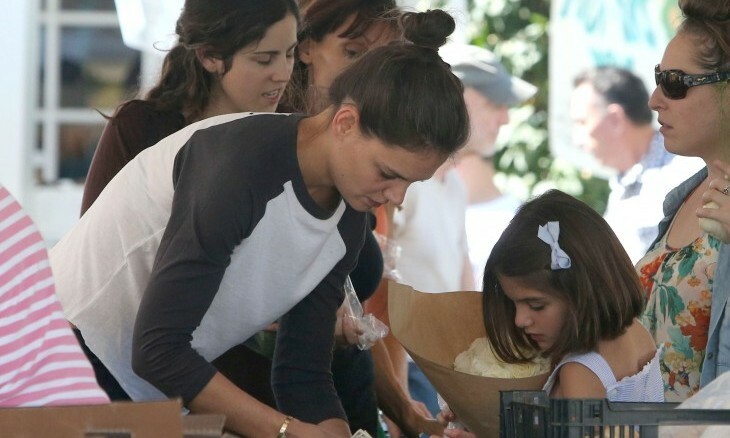 “There’s one in five children in America actually struggling with hunger,” she reveals. “That’s 16 million children.” She encourages people to participate this holiday season by purchasing Unilever products; the proceeds will fund projectSunlight. To keep up with Claire, follow her on Twitter @clairerobinson5. While you may be tempted to feast this holiday season, you and your love can both benefit by choosing healthier options. As a pre-Thanksgiving weekend date idea, spend the weekend prepping for the holiday with healthy versions of your favorite meals and planning a winter workout regimen. …Want to keep reading? Click here! Have a Friendsgiving! This weekend, instead of having a one-on-one date with your sweetie, make it a group night and set-up a belated Thanksgiving dinner. Invite your partner’s and your closest buddies over for a fun and social date night. This date idea comes with all the trimmings for a good time. …Is your mouth watering over this tasty date idea? Click here for more! What is your best Thanksgiving weekend advice? Share below. Interview by Lori Bizzoco. Editorial by Sarah Ribeiro. Kathy Hilton is arguably one of the most glamorous and fabulous hostesses out there. As she explained to CupidsPulse.com in the past, her priorities lie with family and love — but her success in entertaining has made her incredibly popular. With the holiday season quickly approaching, we spoke to the socialite about her party planning skills. By Dr. Tranquility — Lydia Belton, PhD, Ct. H.A. Home for the holidays for a divorced family doesn’t often fit into the Norman Rockwell picture-perfect moment mold. I recall my first Christmas as a divorced parent. First, there was the Christmas card photos — do we or don’t we? Then, there was seeing the photos and knowing that the smiles just don’t look the same, fumbling for what “tidings of joy” I could muster up to include while writing the annual Christmas card “catch-everyone-up-who-we-don’t-see-very-often” letter. …Want to know more about reinventing home for the holidays? Click here! If you’re hosting Thanksgiving dinner this year and are tired of the same old marshmallow-covered sweet potato casserole, dried out stuffing, and gel-like gravy ladled over tough turkey, update your family’s traditional meal with tips from The Chew host Carla Hall. Follow her advice on how to put personal pizzaz into classic Thanksgiving dishes. With the cool weather and holiday season quickly approaching, Hall also provides dinner date ideas for those chilly winter evenings spent with your sweetie. For more information on Hall, visit www.carlahall.com/. How do you plan to revamp your family’s Thanksgiving traditions this year? Share with us in the comments below! Nothing says November and Thanksgiving tradition like a friendly game of football with your sweetie. The two of you can throw around the old pigskin alone this weekend, or grab some family and friends for a game against other couples! Celebrate with drinks at a local spot or cuddle up for a football-themed movie at home. Get out there and tackle your way into love. …Amped up about this date idea? Click here for more! Media personality Ryan Seacrest and dancer Julianne Hough enjoyed their vacation in Mexico this weekend, according to People. The couple took a romantic stroll, hand-in-hand, along a beach in Cabo San Lucas, Saturday. Despite a lavish Thanksgiving meal a few days earlier, Hough maintained her toned physique while sporting a bikini. On the other hand, Seacrest showed no skin in a hat, shirt, and shorts. The pair met in 2007, when the Dancing with the Stars and American Idol sets were across the hall from each other. Where are three romantic Mexican vacation spots to book with your partner? …Looking for the rest? Click here to read more. Actress ChloÃ« Sevigny had a romantic evening of drinks with a handsome man on Wednesday, a source tells People. The couple sat in front of a house and kissed. The Big Love alumna was wearing a fur coat, according to the onlooker, and sipped red wine. “[She] looked very smitten with her date.” The next night, Thursday, Sevigny spent Thanksgiving at celebrity chef Marcus Samuelsson’s Red Rooster restaurant in Harlem, New York. What are some ways to keep your relationship under wraps in the beginning stages? …Curious? Click here to read more.